JUVÉDERM VOLBELLA® XC is brand new to our repertoire of dermal fillers, as of October 2016. 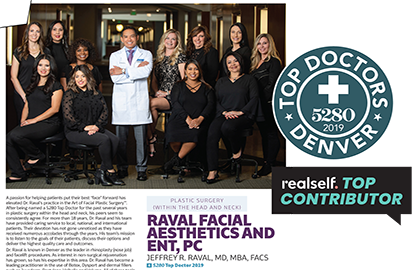 Raval Facial Aesthetics is one of a few medical practices in the US invited to debut this exciting new product. 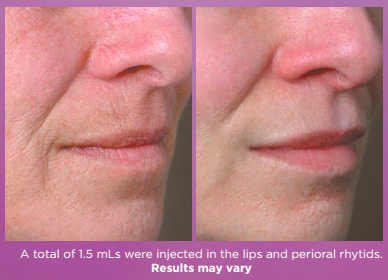 VOLBELLA® XC is the latest addition to the popular line of JUVÉDERM dermal fillers. During the procedure, the doctor injects the gel using a fine needle. VOLBELLA® XC is used for lip augmentation and to fill in perioral rhytids – the fine lines and wrinkles that develop around the mouth. Dr. Jeff Raval expects this product will also be a good option for improving the appearance of facial acne scars. It is a soft, smooth injectable gel specifically formulated to reduce the appearance of fine lines and wrinkles around the mouth and to subtle plump lips. It is FDA-approved, the only product of its kind on the market today. 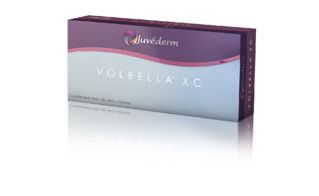 VOLBELLA® XC is suitable for women and men age 22 and older. Allergan, Inc., a company that manufactures several specialty products including the entire line of JUVÉDERM dermal fillers. What Are The Benefits of Volbella® XC? This product represents a significant advance beyond anything previously available to add fullness to the lips or soften lines around the mouth. The procedure is fast, minimally-invasive, practically pain-free and requires no downtime. All adults are good candidates, except those prone to severe allergic reactions. What Do Volbella® XC Treatments Involve? The procedure takes about 20 minutes, and there is no post-procedure downtime. Depending on the amount of additional volume desired, some patients may require a second treatment. Any injection can cause mild discomfort during or after the procedure. However, VOLBELLA® XC’s smooth consistency and the fine needle used minimize potential injection discomfort. Your doctor may also use a topical numbing agent to further reduce discomfort. Results are visible immediately and are clinically proven to last one year. There is always a small risk of infection with any injection procedure. VOLBELLA® XC is made from three types of hyaluronic acid, a substance produced naturally by the body. That significantly reduces the chance of allergic reaction. Most common side-effects are tenderness, pain, swelling, bruising, redness, firmness, bumps or lumps, itching, or discoloration. These may range from mild to moderate, and they typically resolve within 30 days. What Does Volbella® XC Cost? The cost of this treatment is $400 a visit.